2018 is the year the Dax symbiont was born! 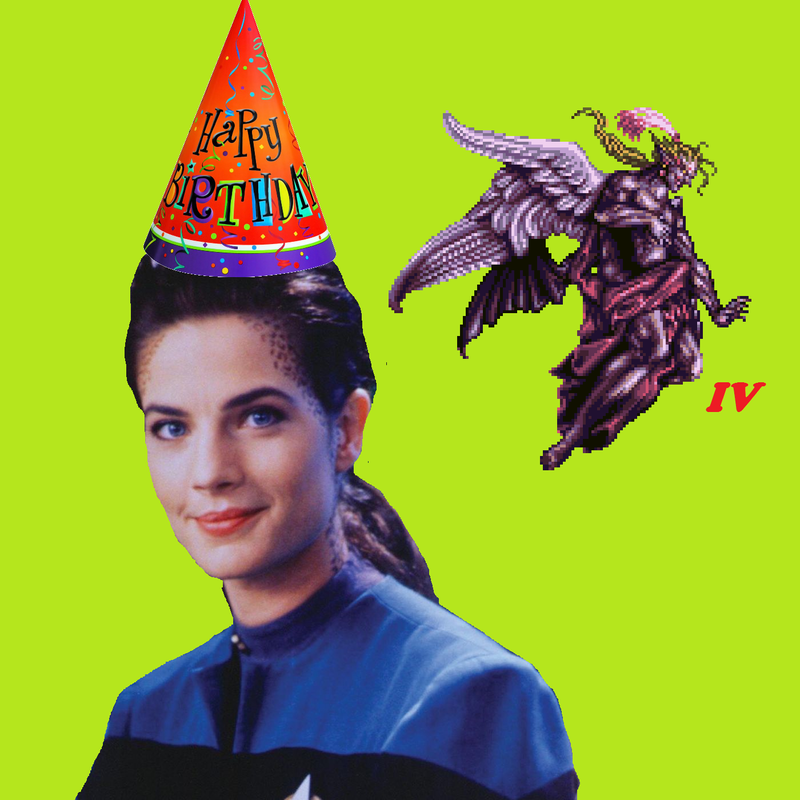 To celebrate, we’re talking about Invasive Procedures, the episode where the Dax symbiont is forcibly removed from Jadzia and stuffed into a criminal. Also, we’re doing our best NOT to talk about that too, not as long as we can talk about Dr. Dre, Kefka, the parallels between Mario and the Pillsbury Doughboy, Cylons, Twilight Princess, the disturbing world of Pokémon, another involved conversation about Changeling abilities, stand-up comedy, and so much more. Also, Jack casually asserts that time is a spatial dimension and free will is an illusion! Happy Birthday, Dax! We love you.